I do deClaire: Are High Priced Beauty Products Really Worth It? Are High Priced Beauty Products Really Worth It? Although I typically purchase drugstore brand makeup, I do like to occasionally splurge on my skincare. Your skin is your largest organ and if you don't take care of it, it definitely shows. As I get older, this is especially important to treat fine lines, sun spots, and prevent wrinkles. I've paid a fair amount for a facial with microderm abrasion and some other skincare products. Some of them have been great and some I wasn't impressed by. I didn't really see a difference. So it all makes me wonder. Are higher priced beauty products really worth it? Do they live up to their claims? And how much is too much? 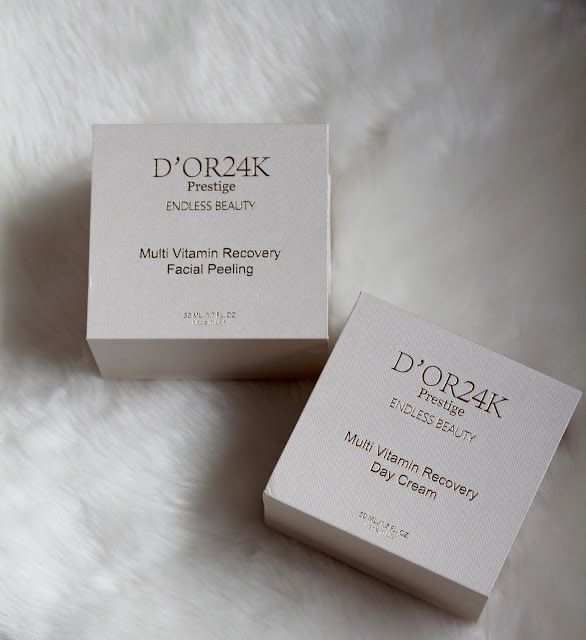 Recently I was sent D'OR 24K Facial Peel and D'OR 24K Multi-Vitamin Recovery Day Cream. The Both are made with actual 24K gold and designed to boost collagen to help it appear younger and healthier. You can actually see the gold flecks in the facial peel! It claims to help reveal softer, smoother, firmer, and more youthful skin. Just taking a look at the packaging I was impressed. Each product comes in a velvet lined box with a magnetic closure. The facial peel is an exfoliating peel unlike any I've tried previously. 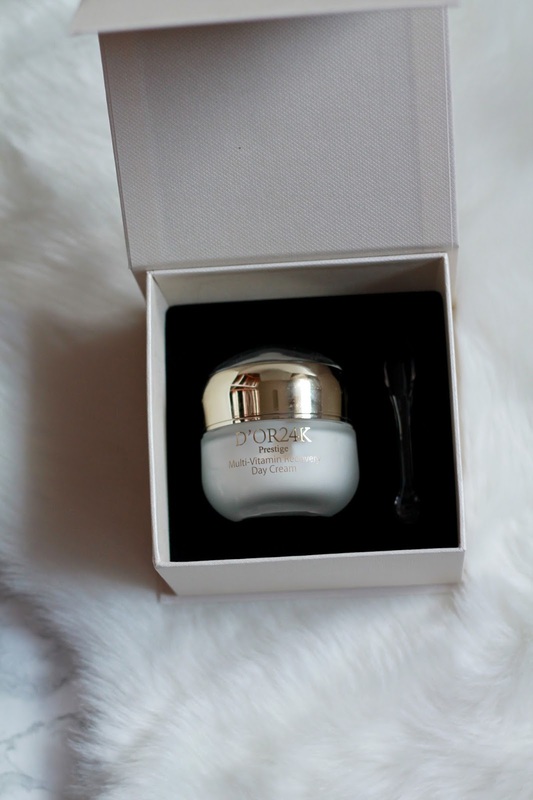 It also contains glycolic acid and Alpha Hydroxy Acid to help moisturize and stimulate collagen production. The peel sloughs off damaged skin to reveal new, fresh skin below all while improving your skin's texture and tone by stimulating collagen growth with its ingredients. It isn't rough on skin at all. You apply it on damp skin and rub gently in a circular motion and your dry, dead skin will slough off. Then rinse and dry. It's gentle while providing results. My skin wasn't red as it tends to be after other exfoliating products. It was smooth and did appear more radiant and youthful. 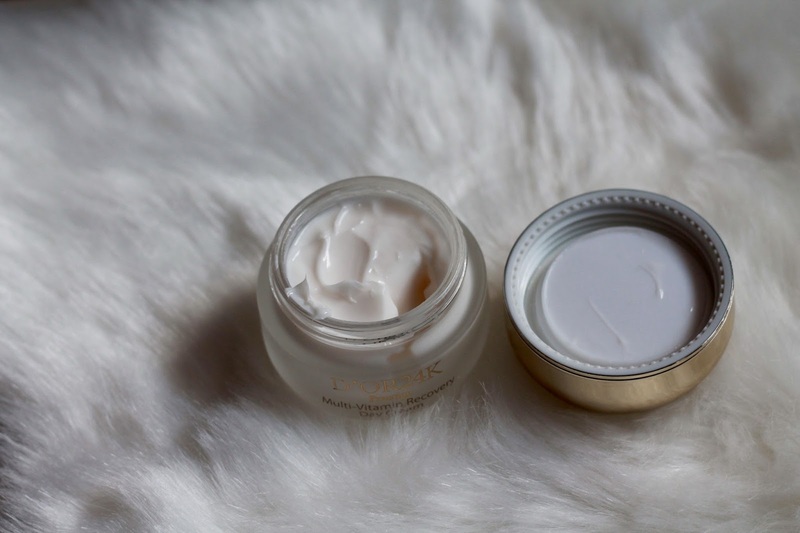 The recovery day cream is a lightweight cream that also works to support your skin's collagen production and help with fine lines and wrinkles. It contains green tea that helps protect from sun damage and reduce inflammation. To use, just apply daily to clean, dry skin in the morning and evening. I found that it absorbed quickly and my skin felt smooth and moisturized afterwards. After using the facial peel twice a week and the day cream daily for two and a half weeks, I do see a noticeable difference. My skin has more glow to it which I equate to a more youthful appearance. The only fine lines I have are by my eyes and I don't use this product near my eyes so I haven't seen a difference in that. Nor have I seen a difference in a few sun spots I have, but typically products take at least 4 weeks to see an effect. Overall, I think the results are there. The price point is high for me to purchase regularly though. If it were 50% off, I would definitely buy the facial peel again, but for now I think I'll be rationing out the facial peel an day cream to make them last as long as possible! Gosh...I totally wonder this all the time, Laura! Part of me thinks you get what you pay for, but the other part wonders about the marketing and stuff that makes the costs higher??? But our skin is our hugest organ...so I may have to look into this! I'm not one to buy expensive products either, but sometimes I wonder if you get what you pay for. I'm still searching for my favorite skin care routine. I too usually opt for drug store beauty products, but it is hard to deny things like this. I have always heard from the dermatologist that acid is the best way to exfoliate your skin (as opposed to scrubs or bristle brushes). These sound good. It seems that most of the expensive products I buy, do actually work better... but, it isn't the case for everything I buy. 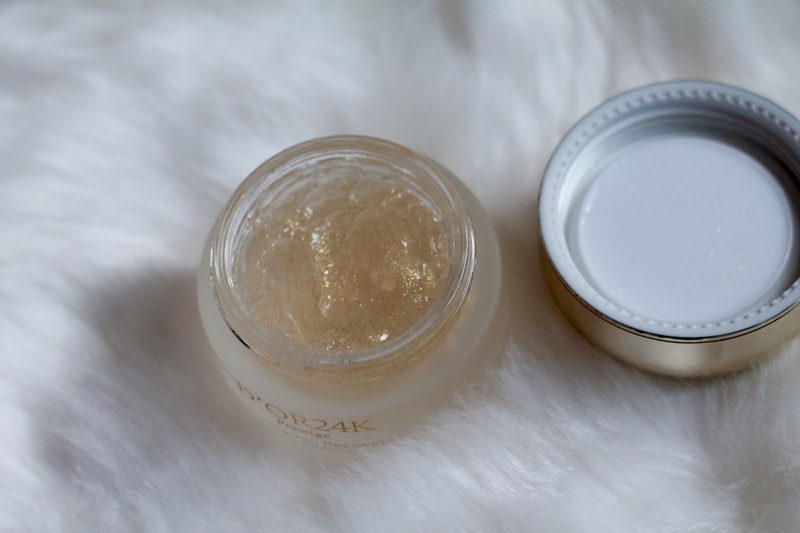 That facial peel is so pretty inside the jar! They sounds lovely, although it's a shame they are expensive. Like you, if I do have anything expensive I try to ration it out so I don't use it all up so quickly like I'd do with cheaper products, haha! Thanks for sharing this review. I have never heard of this line so I need to check it out. The packaging is gorgeous! Great reviews, Laura! I am intrigued by the facial peel! I could stand to incorporate one into my skincare routine and this one sounds great. I hear that facial peels are great but I've never tried one. Its great to find a product that you can actually SEE results. I've tried my fair share and to be honest in all this time, only one Swiss product really made a difference in my skin. I love hearing about new-to-me skincare products! I'm willing to spend a bit more if the product is solid + produces results, so glad to hear you liked these! Oooohhh these sounds like really good products, especially when you're able to see the results. I hesitate to spend a lot of money on creams and things because I just don't know if they would work. Nice to hear reviews on items that actually work!